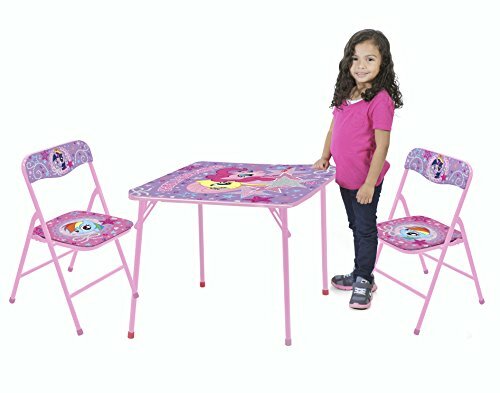 Your child will love reading, drawing and doing homework around the house at the Dora and Friends 3 PC Square Table and Chair Set. Featuring the Dora and Friends design, this table is sure to become a favorite with your little one. The 3 PC Square Table and Chair set includes 2 folding chairs and a square table. The table is easy care with regular damp cloth wipe down.